Lotuses come to my mind whenever I think of India and Indian culture…though they don’t smell as good as roses or they don’t look as good as my favorite flowers(carnations) I still have a thing for Lotus patterns and designs! 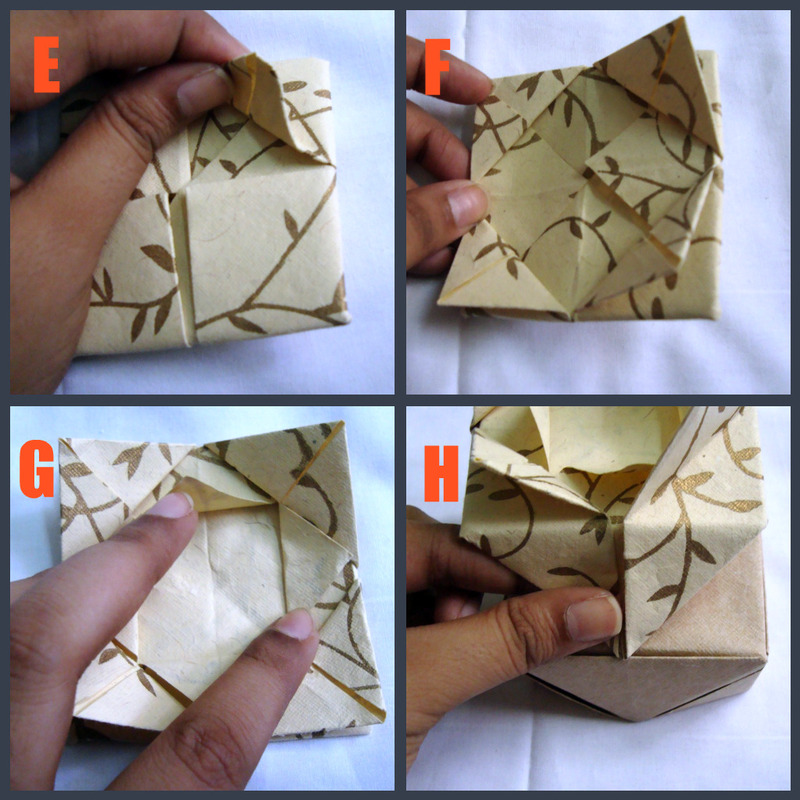 Want to learn how to make a beautiful paper Lotus box for yourself or to give as a gift? 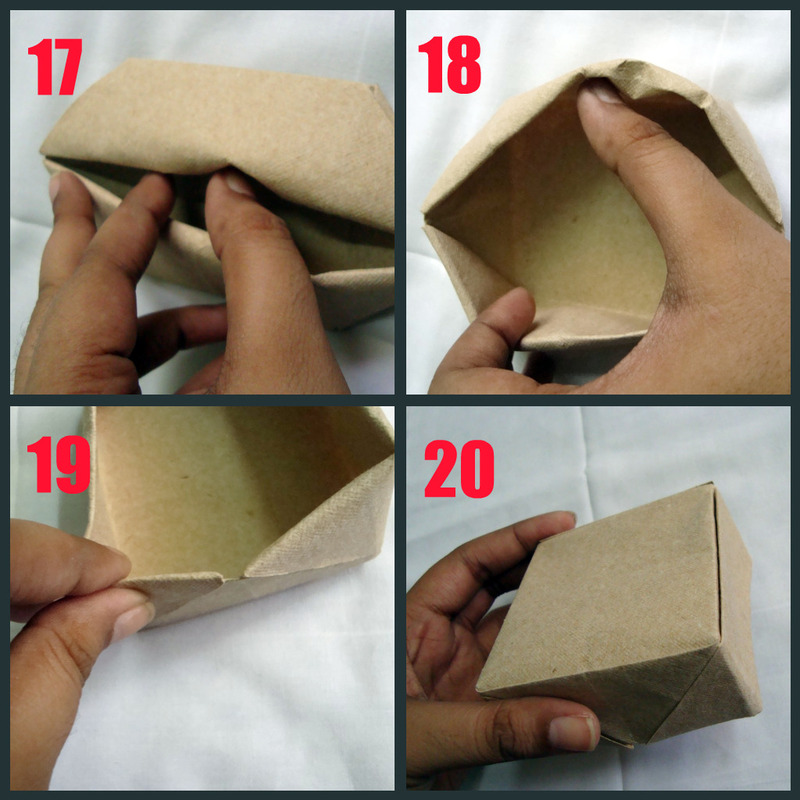 Here’s a step-by-step tutorial to make an Indian inspired Lotus box. Lift and fold down a corner of the square to the center of the X.
Repeat and fold down the other three corners to the center. Open out the folds. Fold the corner to the nearest fold line as shown. Repeat the fold for the other three corners. Fold down the triangle that you just made on the crease made in steps 3 and 4. Repeat for the other three corners till you have a ‘framed’ square. Flip the square over. Fold back the square till the right edge touches the center mark. Repeat on the left edge till it touches the center. 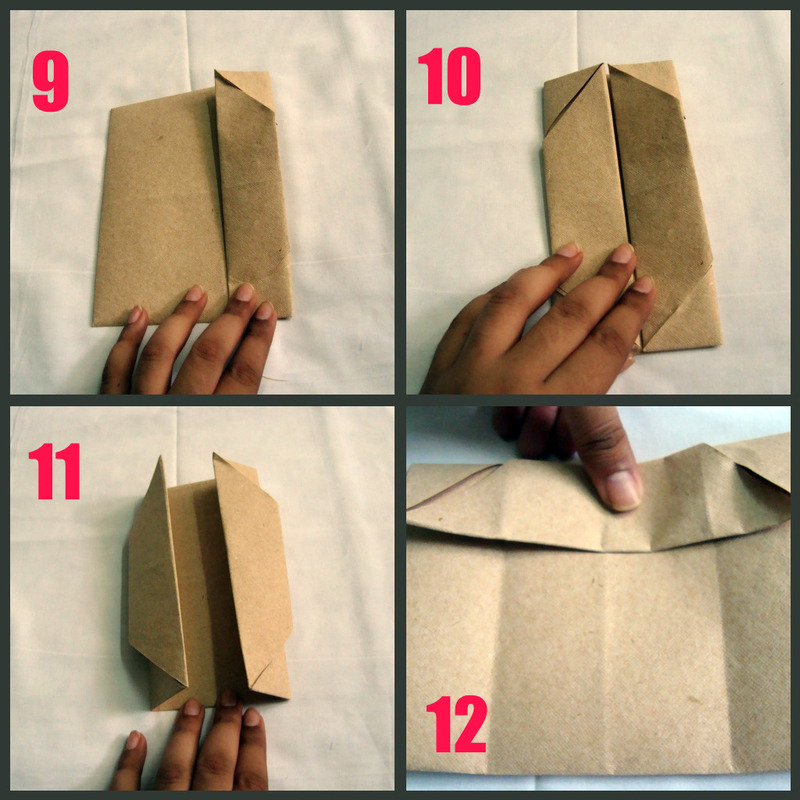 Open out the folds that you made in step 10. Fold down the top edge till it touches the center mark. Repeat for the bottom edge. Fold down the top right corner to make a triangle along the line. 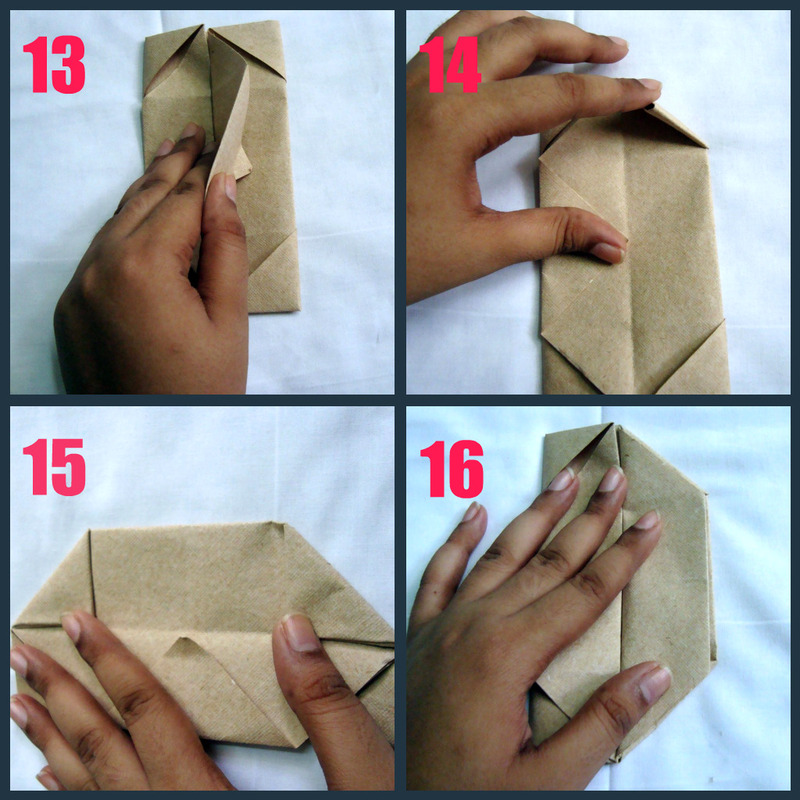 Fold up the bottom right corner to make a triangle. Fold back the flap into place. Repeat and fold down the corners for the left side. Slide your fingers into the slit. Use your fingers to spread out and open out the box. Pinch the 4 sides of the box to make them straight. A) Take the printed cream and gold square. 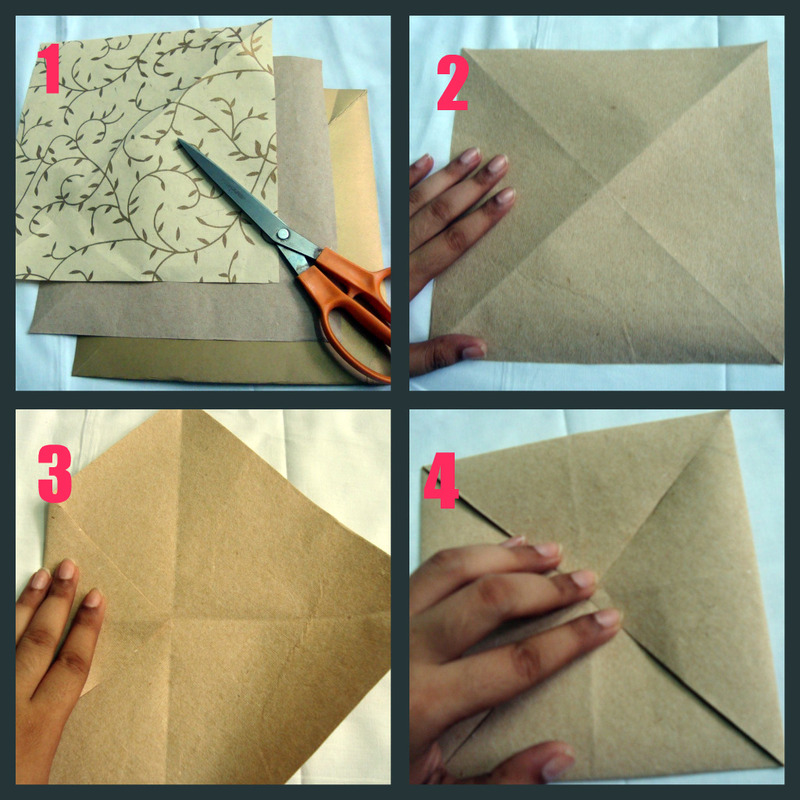 Fold it in half diagonally from edge to edge making an X on the square. B) Lift and fold down a corner of the square to the center of the X. 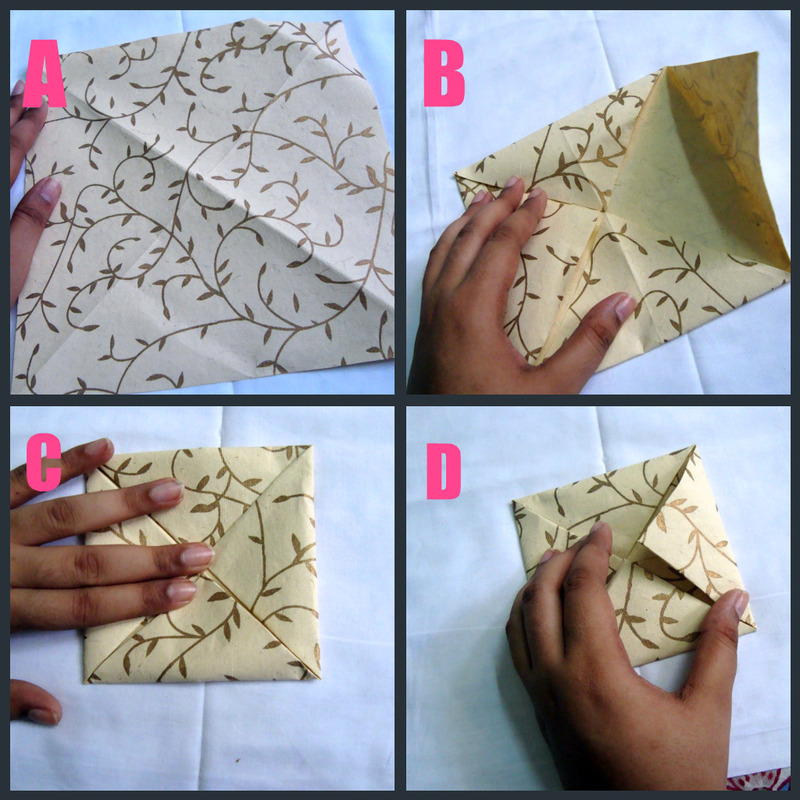 D) Fold down the 4 corners to the center. Your square should look like the one in the picture..
E) Flip the box over again. Lift up one point(corner) from the center and fold back till it touches the end corner. F) Repeat for the other 3 points in the first layer. G) Fold back the 4 points of the second layer to touch the meeting points of the triangles in the first layer. H) Place this square on top of the box lid you made earlier. Push the triangles you made in Step D in to the slits on all four sides of the lid. This should make the lotus part sit on top of the lid. You’re almost done! Just make a basic box base from the last square sheet (gold color). 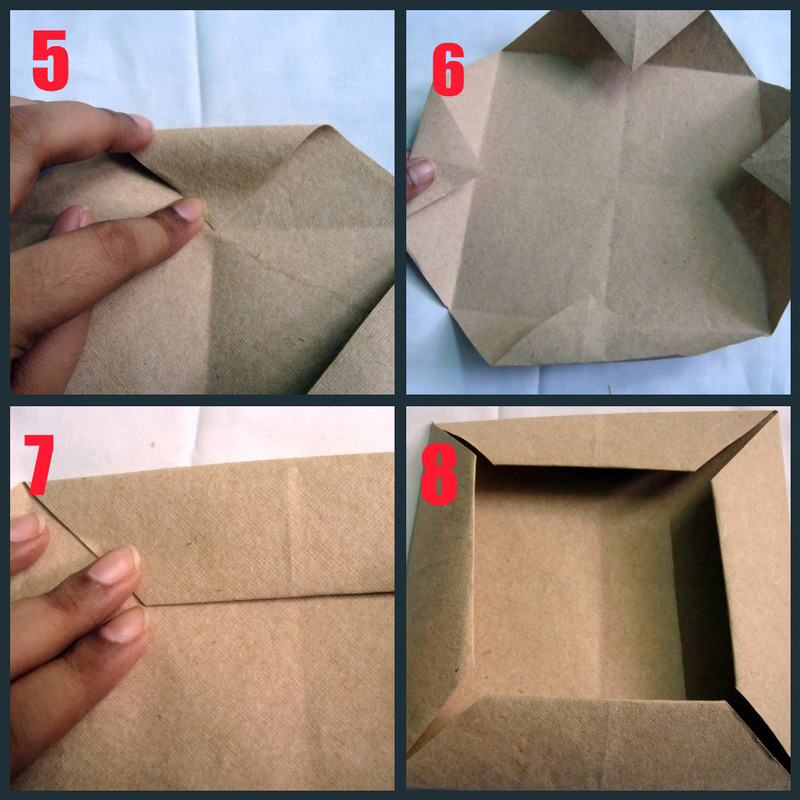 Refer to my tutorial on the basic origami box. Cover the box with the lid and you’re done!! Did you like the box?? Please send me pictures if you make this box. NOTE: This box was not designed by me…I learned how to make it from a library book I borrowed years ago…I have forgotten who the designer is But I wanted to share it just cos it’s soooo pretty!